Many have long considered Continuous Improvement activities mostly relevant to manufacturing and related operational functions. Take great care of customers and make it easy for them to do business with you anywhere, anytime and anyway they want. Champion the company’s brand(s) and other related assets and intellectual property. Market Effectiveness functions and activities should be managed like a captive service organization within the business. 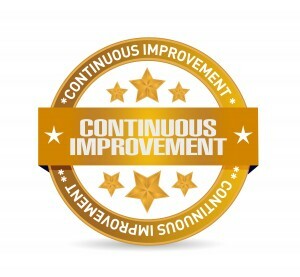 An earlier Group50 Consulting article explored the role of Continuous Improvement in services businesses, providing a related framework relevant to Market Effectiveness organizations. The table below, which is not exhaustive, overviews some of the most common CI opportunities within related business activities. Do any of the issues in the table above look familiar? Is your company growing profitably as well as you’d like or need it to? It may be time for you to take fresh look at your Market Effectiveness functions and processes. A Market Effectiveness Assessment may be a great place to start, followed by Continuous Improvement Assessment to look at the effectiveness of your company wide programs and processes. Don’t make the mistake of ignoring improvement opportunities in Market Effectiveness simply because they might feel “less tangible” than those in manufacturing, supply chain or logistics areas of the business. Customers feel the effects of flawed processes that make your company difficult to do business with, costing you business and negatively impacting VOC and NPS. But, they will reward you for effective practices and know-how that make you a valued supplier who earns more of their business. Contact Group50 a Continuous Improvement consulting firm to learn how we can help. We offer a variety of tools and workshops, including Group50’s Company Physical® our Continuous Improvement Workshop, to ensure your company’s methods and processes serve your customers and markets effectively, enabling your strategy. Group50 has designed a series of assessments, workshops and other tools that enhance Strategic Execution and business performance. Call us at (909) 949-9083 or email us at info@group50.com.